If you want to know how to grow your writing business using social media, make sure to stay tuned to the blog for the next few weeks. 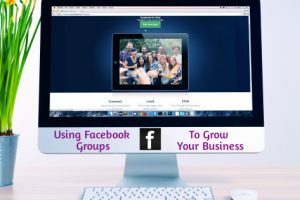 In today’s guest post, Dorine Otinga explains how Facebook Groups can help you reach a larger audience. 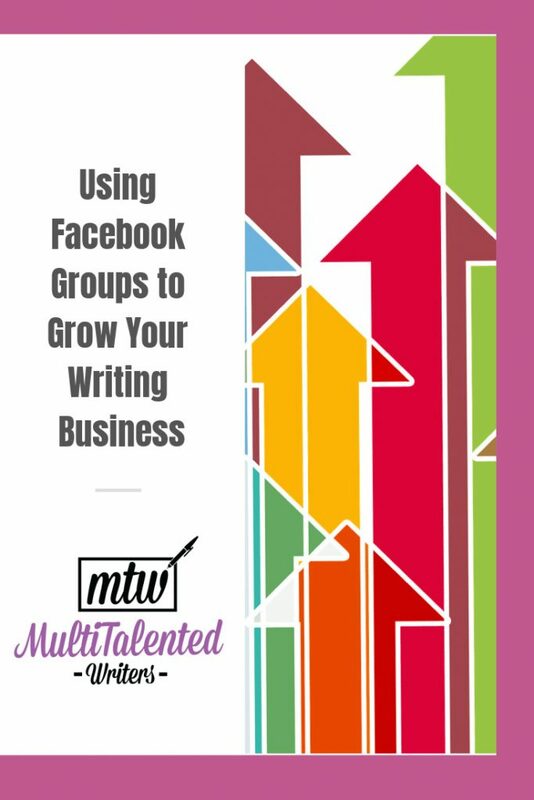 Here’s an example of how a Facebook group can help you grow your writing business. At the age of 16, Bamidele Onibalusi of Writers in Charge started his freelance writing journey. He became successful enough not only to make a living from his writing, but also to grow his other business, a fish farm. A few years later, Onibalusi decided to share his experience with other writers, in order to help them achieve success. He created a challenge to earn $1000 in 60 days as a beginning freelance writer. He announced this challenge on his blog, and asked if his readers might be interested. After ensuring the had an audience for the challenge, he created a Facebook group to document his own journey. Onibalusi used a pseudonym and presented himself as a “newbie” to the companies he pitched. As he went through the challenge, he posted on the Facebook group, sharing his own challenges and successes, so his large audience could learn from his experiences. It took Onibalusi only 37 days to achieve his goal. By the end of the challenge, he had already earned $2,480 from his freelance writing projects. Many freelance writers took part in this challenge, and it turned out to be a great success. Nick Darlington, cofounder of WriteWorldwide, is among the writers who followed this trial religiously and hit more than $1000 per month. He went on to promote Onibalusi’s strategy, telling his followers about his success and the group that helped him achieve it. 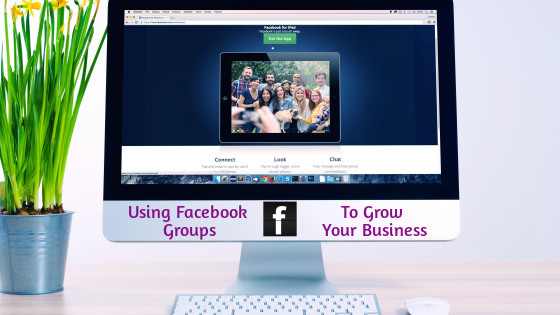 This is only one of many success stories, and it shows how a simple Facebook group can help you widen your reach and grow your writing business. Facebook gets more than 1.9 billion users monthly. It’s an ever-growing medium, and you could use this to your advantage to reach your target audience. Many successful bloggers have managed to promote their content through Facebook. Why not you? Facebook groups are a great tool to reach an audience that’s interested in your expertise. A Facebook group is a place where like-minded people interact and share ideas to achieve a common goal. 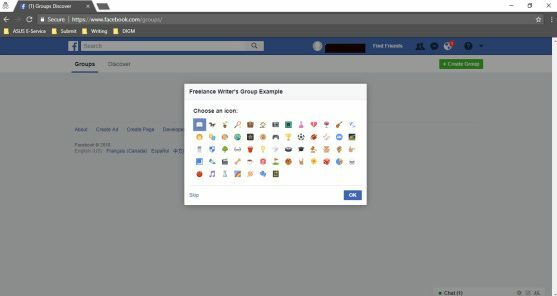 People create Facebook groups to support each other, sell products, promote their blogs, raise awareness about causes that are important to them, and more. 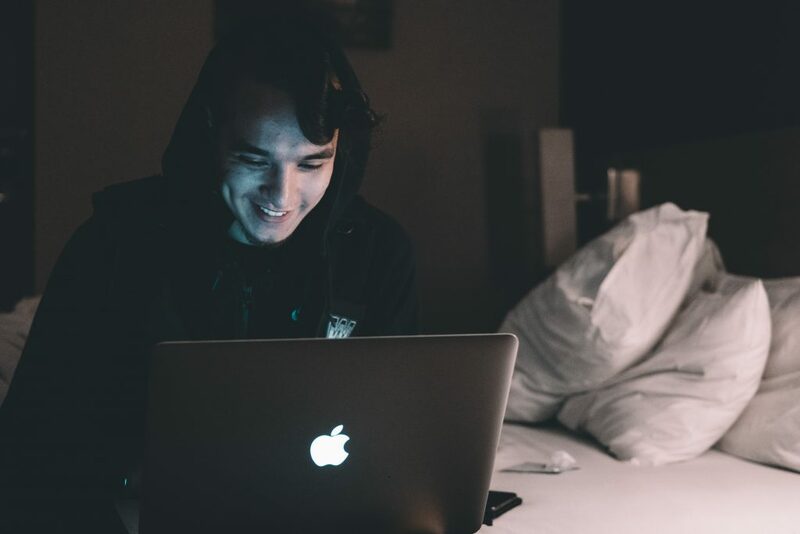 Here’s how to create your own and use it to promote your writing business. 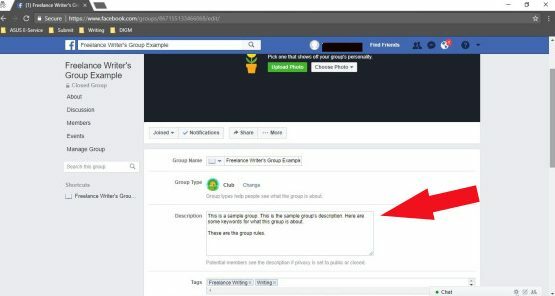 Now, on the right side of the screen, click the green “Create Group” button. 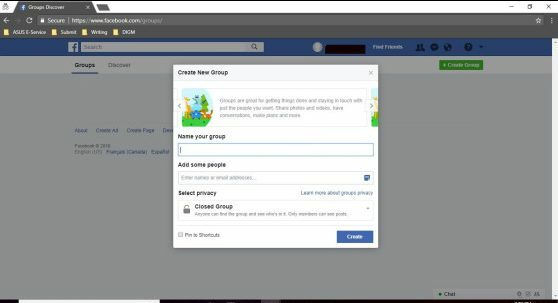 After you click “create group,” a pop-up window will appear. 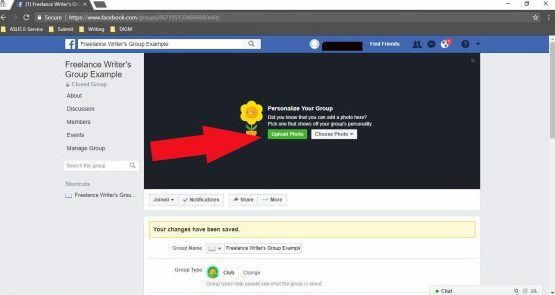 You’ll need to give your group a name, add at least one person (make sure you get their permission first), and then choose the privacy of your group. You need to decide if your group will be public, secret or closed. 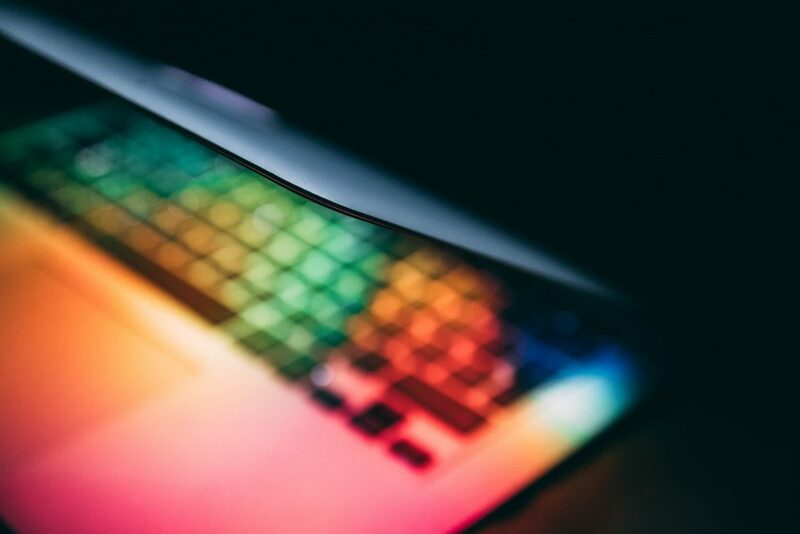 The type of group privacy you choose will depend on the type of content you’ll be sharing and who your target audience is. 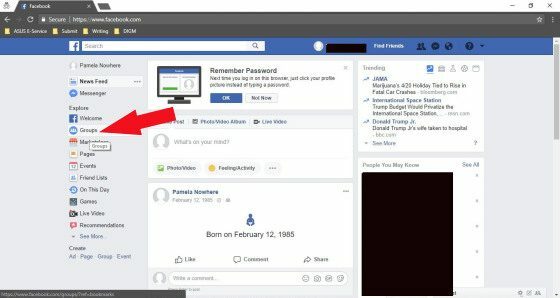 After choosing your privacy, click the blue “create” button. 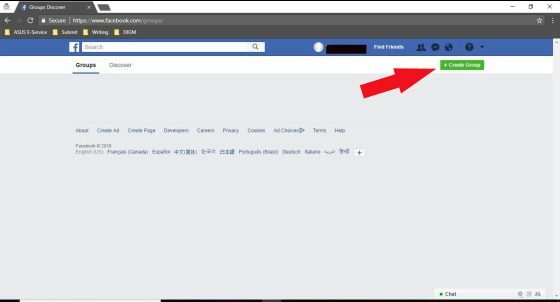 The next screen you’ll see is “choose an icon.” Facebook will give you many icons to choose. You can select any of them based on your preference and what your group is about. You can also choose to skip this step (click “skip” on bottom left). Click OK or skip after choosing (or not) your group’s icon. The about us section is the backbone of your group and helps people understand what the group is about. This is also the place to explain your group’s rules. To write your group description, click on “more” (1). A drop down menu will appear. Click on “Edit Group Settings” (2). On the same screen as your group description, there will be some other details to fill in. You can pick a group type and add tags for what your group is about. It’s a good idea to put in tags that relate to your business, as people who “like” these tags are more likely to find your group. Scroll down and fill in the rest of your group’s details. For example, if you already have a professional page on Facebook, you can link it to your group. If you don’t yet have a professional page, it’s a good idea to create one. Once you’re finished updating your group’s settings, click “save” at the bottom of the screen. This cover photo was created using a Creative Commons License image found on Pixabay, and the text was added using desygner.com. Once you have an image you’re happy with, click on “upload photo” and follow the prompts. Now that you have a group description and you have customized the look of your group, you’re ready to add more members (but make sure to ask them first) and create posts. Remember to consider you audience and what they’re looking for. Create engaging posts that will either resonate with what they already believe or that will help them resolve their pain points. 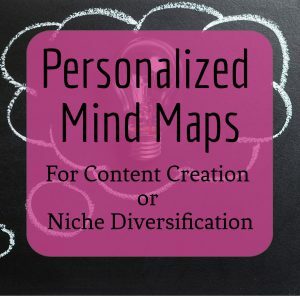 But how do you know who your audience is if you write in multiple niches? Stay tuned for a post about this topic. If you want to be successful as a multi-niche writer, it’s always good to have a look at those who have gone before. You can take inspiration from writers who have successfully grown their businesses using social media platforms. Walter Akolo of Freelancer Kenya is one of these people. Akolo is a successful blogger and freelance writer who has grown his reach through his active engagement in Facebook groups. Akolo has two lively Facebook groups where he interacts with readers, answering nearly all questions posed by his group members. 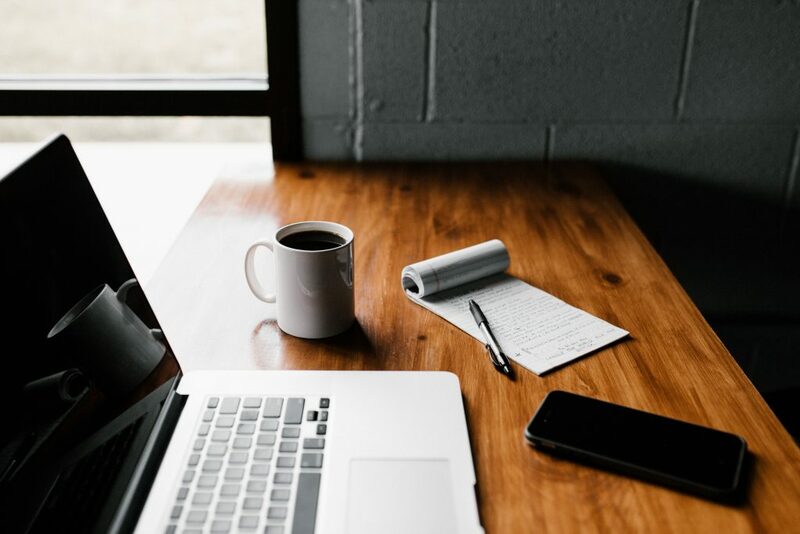 This active engagement in social media has increased both leads and conversions in his business, growing his email list as well as driving sales of his courses and eBooks. Always participate in discussions in your group and be ready to assist those who need help. If you provide great value to your membership, they will come to trust you and be more likely to purchase from you in the future. You can participate in Facebook group discussions by giving out meaningful advice to those who ask questions, as well as by posing questions to your group members. By doing so, you’ll increase the number of interactions in your groups, thereby attracting a larger membership as well. But while having a huge number of members in your group is great, don’t be fooled. The size of a group’s membership doesn’t tell the whole story. 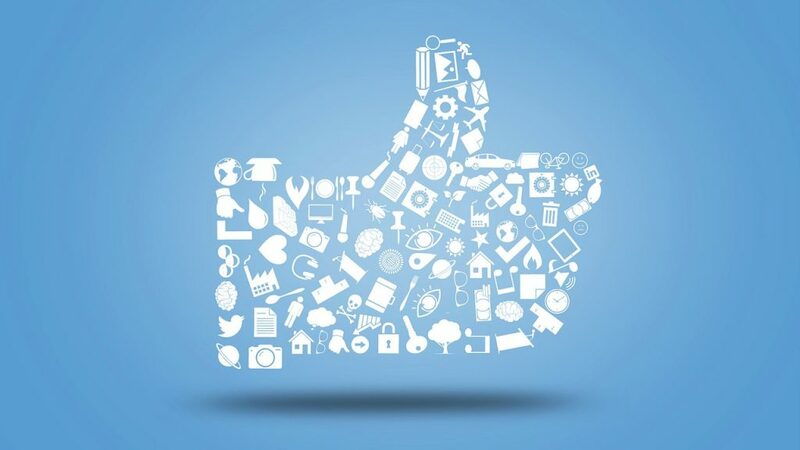 Growing your reach on Facebook and other social media is a great strategy to market your business. However, the number of followers you have isn’t necessarily a good measure of how well your business is doing. Whereas it’s certainly nice to have hundreds or thousands of likes on your Facebook page, or a large membership in your Facebook group, it doesn’t necessarily mean anything unless those numbers are leading to active engagement and converting to sales. Paying attention to vanity metrics is one mistake that many businesses make when trying to promote their Facebook pages and blogs. Vanity metrics are responses that are easily manipulated, such as likes, blog post shares or registered users. A company might take pride in the number of likes their Facebook page has or how many participants are in their groups. However, those likes may mean nothing when they don’t convert to any sales. This often happens when people opt for “like for like” or “join for join” strategies in blogging and writing groups. 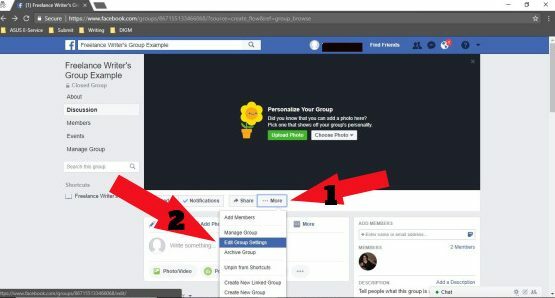 People will not like your Facebook page or join your group because they find these helpful, but because they want you to like their page or join their own groups. Thus, if you want true engagement, share informative content that helps your audience, and be active in conversations in your group. 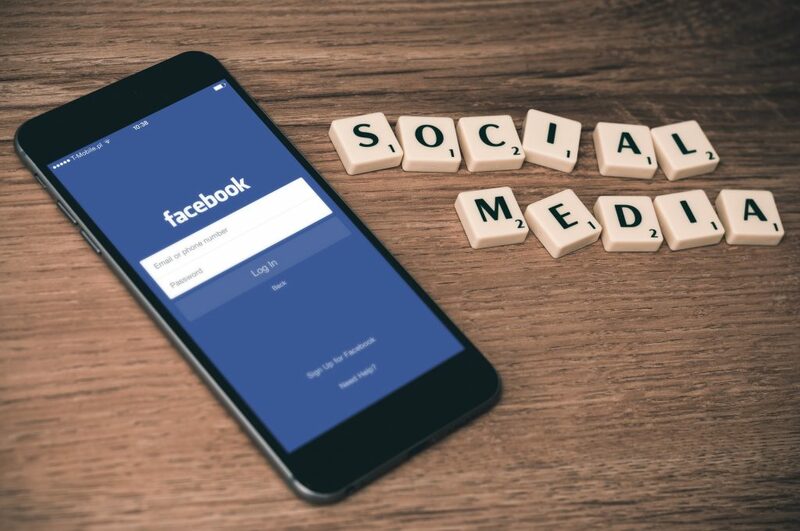 Facebook is an essential social media tool for any business owner, but particularly those who work online. 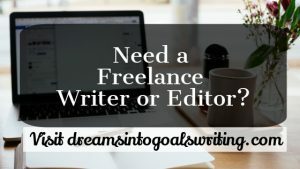 It not only connects like-minded people, but also helps writers to grow their businesses. 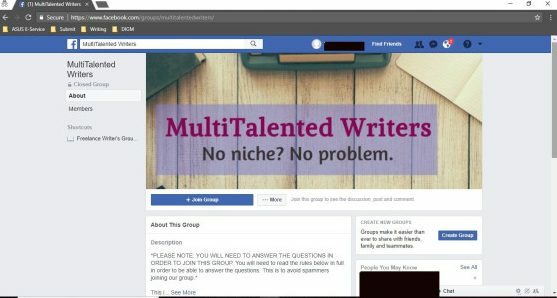 If you’re interested in meeting other MultiTalented Writers to discuss how to promote your multi-niche writing business (on Facebook and elsewhere), join our Facebook group here. Thank you for this…you have opened somebody’s thinking space. Thank you for stopping by; I hope you find the posts useful! Thanks Felix! Hope you’re finding the post helpful.